Summer is here and that means it’s oh so enjoyable to eat outside and make foods that don’t involve the oven. Because, really, who wants to spend the season cooking in a hot kitchen? 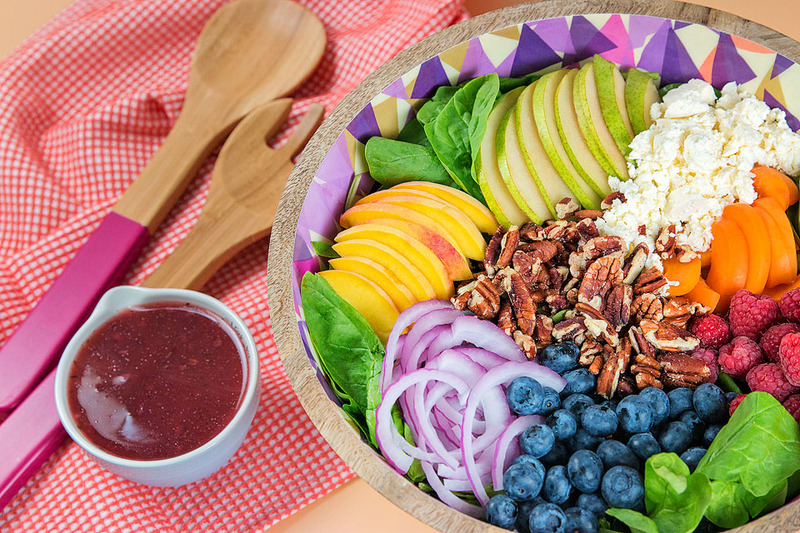 A fruity summer spinach salad is perfect for one of those hot, lazy days. 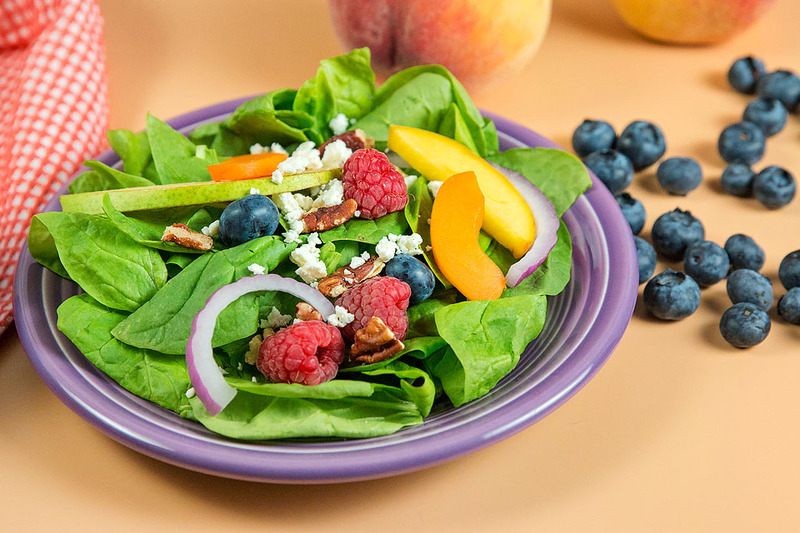 This summer spinach salad is easy to make and all the fresh fruit adds so much flavor. 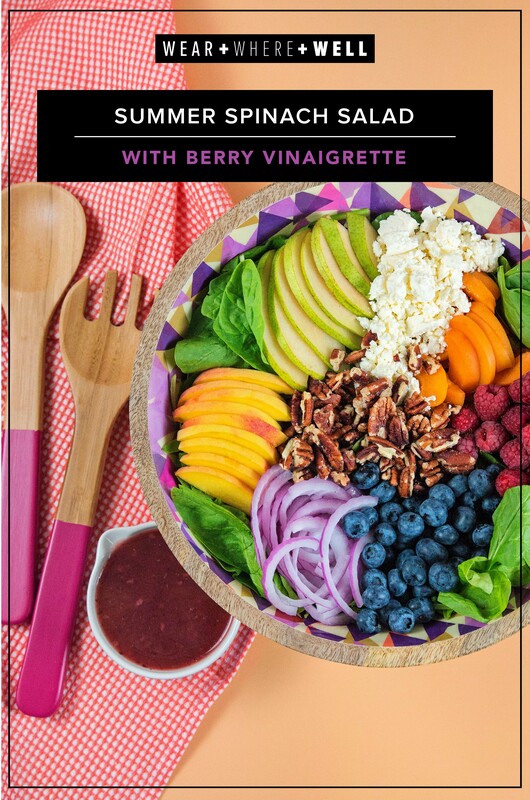 If you would like to add some more protein to this salad, you can make some chicken the night before or cook it on the grill. 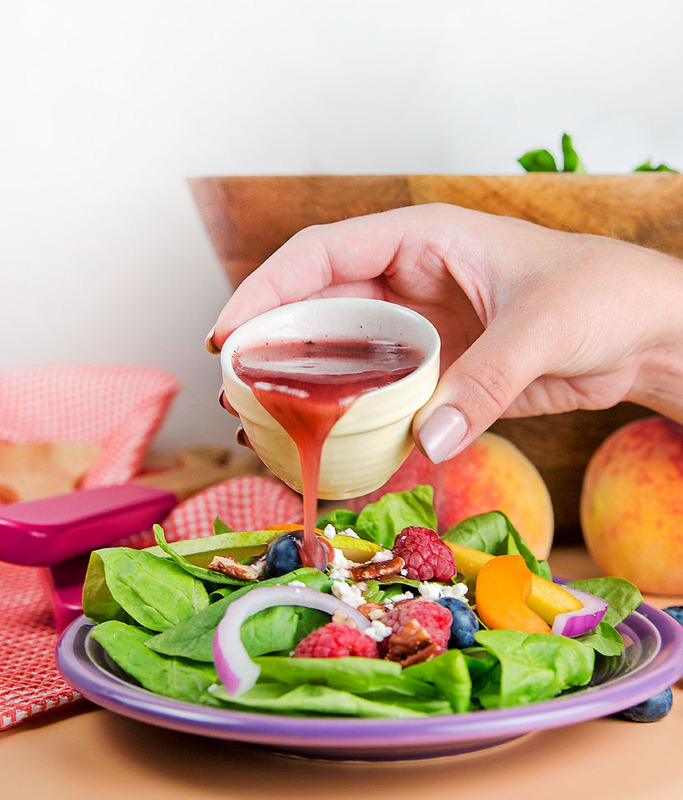 The sliced chicken can be added to the salad before tossing. 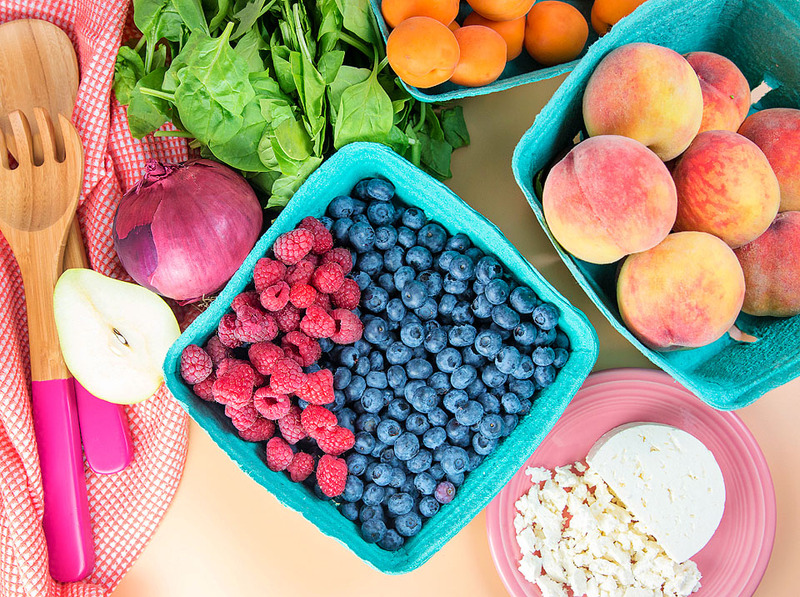 You can change up the fruits to use whatever is in season or you can find at the market. Like I said, it’s easy to make and so extremely refreshing and ideal for the hot summer months. Put all the ingredients into a blender. Blend on high until smooth and all ingredients are combined. Place spinach in the bottom of a large bowl. Layer other ingredients on top of salad. Looks pretty easy, right? 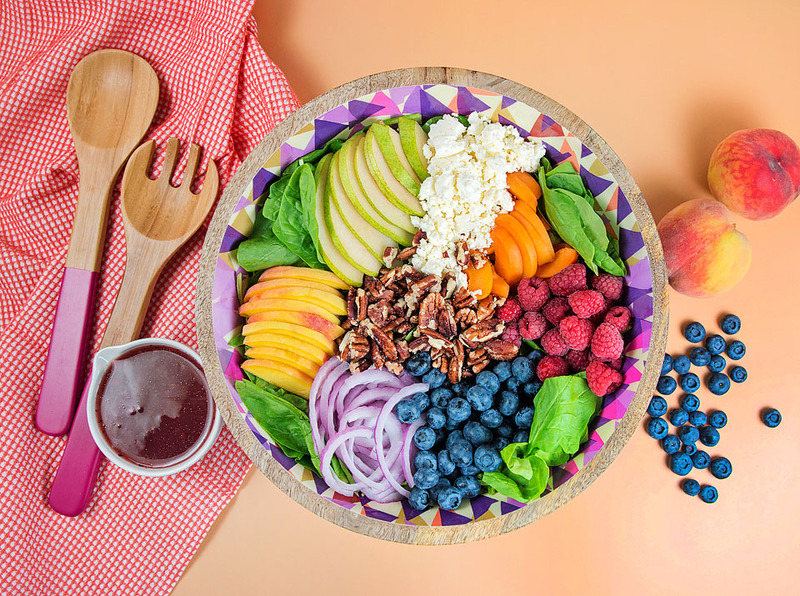 And not only is it delicious and refreshing, it’s beautiful and colorful and extremely photo worthy! We hope you’ll give this one a go the next time you’re looking for a quick lunch or dinner idea. Make sure to let us know what you think in the comments below. Have a great rest of your day! Yes! I am excited by the colors! It looks amazing! 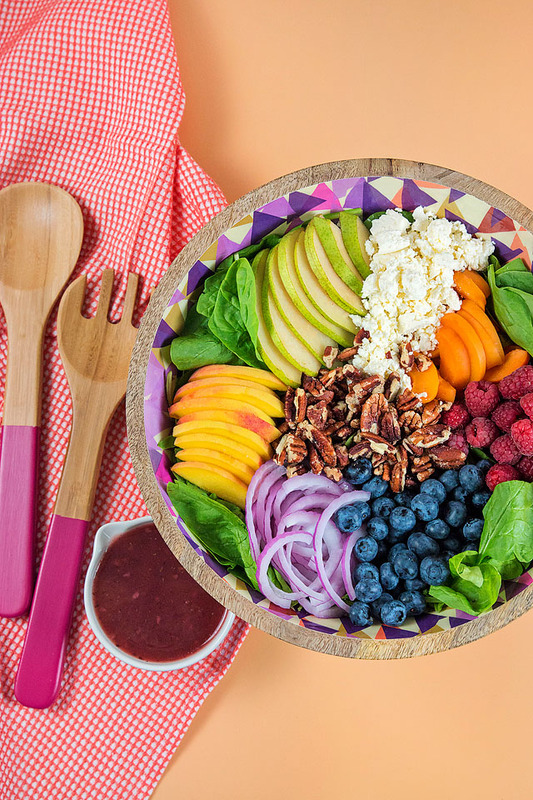 Colorful, delicious, and nutritious! Thanks for stopping by.